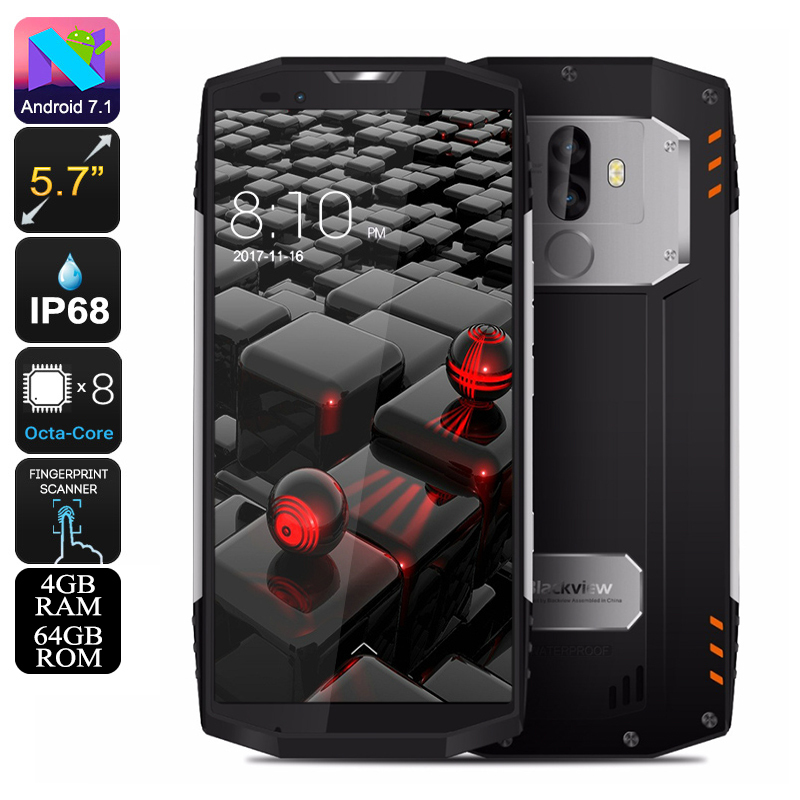 Successfully Added HK Warehouse Rugged Phone Blackview BV9000 - 4GB RAM, IP68, 4G LTE, 5.7 Inch, 13MP Camera (Silver) to your Shopping Cart. The Blackview BV9000 is the smartphone to buy if you are looking for one with all the latest features and a go anyware design. With its IP68 rating it is imperviouse to dirt or water ingress and a Corning Gorilla Glass screen give added prtoection aginest scratches and drops. With 64GB internal memory the Blackview BV9000 boasts a huge amount of storage for all your photos, songs, videos and other data. It also comes with a memory card slot which can support a SD card up to 32GB forther expanding your options. There is no fear of phone damaging due to water as it is waterproof. Thus, if you are a water baby, you can take it along with you to beach trips or pool parties for clicking unlimited photos. This smartphone has a dual (13MP + 5MP) back camera. This feature enables you to get perfect quality pictures from this phone. Moreover, the 8MP front camera will allow you to click those amazing selfies that you always wanted to. The Blackview BV9000 rugged phone comes with a 12 months warranty. Brought to you by the leader in electronic devices as well as waterproof smarphones and android devices..